Admission to this program is discontinued effective September 1, 2018. Students enrolled in the program as of September 1, 2018 will be permitted to continue with the understanding that they must complete the requirements by May 1, 2020. The combined JD/MSc (Computer Science) program allows students to complete both the JD degree and the MSc (Computer Science) degree in three academic years instead of the four years required if the degrees were taken separately. The program is designed for students who envision a career in those areas where computer science and the law intersect. The combined degree program is administered on behalf of the Faculty of Law and the School of Graduate and Postdoctoral Studies (SGPS) by two Program Directors, one appointed by the Faculty of Law and the other appointed by the Department of Computer Science. Applicants to the combined degree program must either (i) apply separately for admission to both the JD and the MSc (Computer Science) programs by the deadlines established for the Faculty of Law and the SGPS or (ii) having already commenced the first year of the JD program, apply for admission to the MSc (Computer Science) program by the deadline established for the SGPS. In either case, the application must indicate the student’s intention to pursue the combined degree program. Applicants must meet the entrance requirements for each of the JD and the MSc (Computer Science) programs. A joint admissions committee appointed by the Faculty of Law and the SGPS shall decide on admissions and admissions policy. (c) Thesis Option: 2 MSc (Computer Science) courses and a thesis. Students will be enrolled during the Fall term of the second year in the MSc (Computer Science) program. In the Coursework Option students will take at least 3 of the required courses. In the Project Option students will take 3 of the required courses. In the Thesis Option students will take the 2 required courses. (c) the remaining required courses for the MSc program. Students will also complete their directed study, project or thesis. By May 31 of the second year, students must have a supervisor for the MSc program and a topic for their directed study, project or thesis. Students are expected to seek out an appropriate supervisor. Coursework Option and Project Option students may not take more than two, and Thesis Option students may not take more than one, Computer Science courses cross-listed as graduate and undergraduate courses (9500-level). No Computer Science reading courses may be taken. Students who complete all of these requirements successfully can normally expect to graduate with both degrees in the spring convocation. Students are expected to work on their directed study, project or thesis. A student who fails to meet the progression standards must withdraw from the combined degree program. 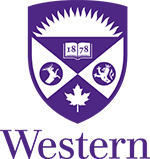 If that student has met the progression standards of either the JD or MSc (Computer Science) program, he or she will be allowed to continue in that program. Such a student must complete all the academic requirements of the individual program in order to graduate from that program. In Year One students are considered for the Dean's Honor List at the Faculty of Law. Students who take Law courses totalling at least 12 credit hours in each of Years Two and Three are considered for the Dean's Honor List at the Faculty of Law in each of those years on the basis of those courses. Tuition fees for combined degree programs are set by the University. Contact the Office of the Registrar, Western Student Services building, room 1120, (519) 661-2100, or at http://www.registrar.uwo.ca/ for details.